Athens San Diego Office Does it Again! Athens Administrators, a recognized leader in third-party claims administration services has acquired 1-2-1 Claims, Inc. expanding operations to eight (8) offices throughout the United States. Athens Administrators has been voted one of the Top 130 Places to Work in the San Francisco Bay Area by the San Francisco Business Times. Athens ranked the 2nd best place to work in the mid-size business category (100-250 employees). 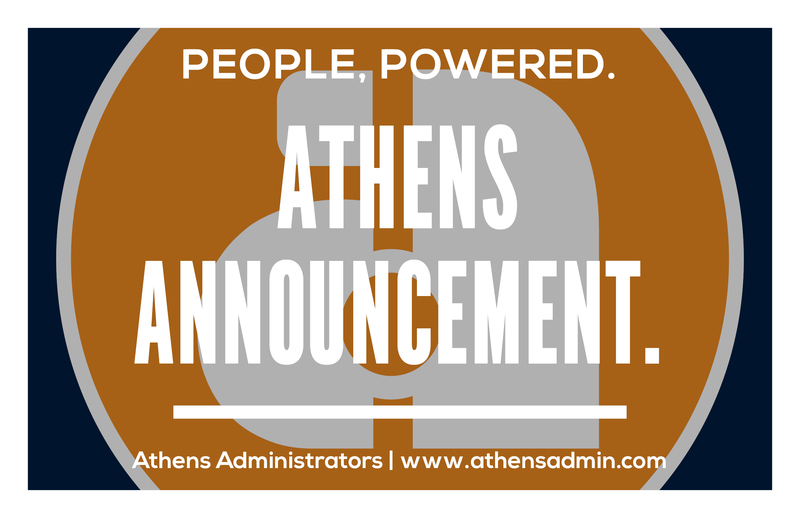 Congratulations to everyone who makes Athens such an amazing place to work.